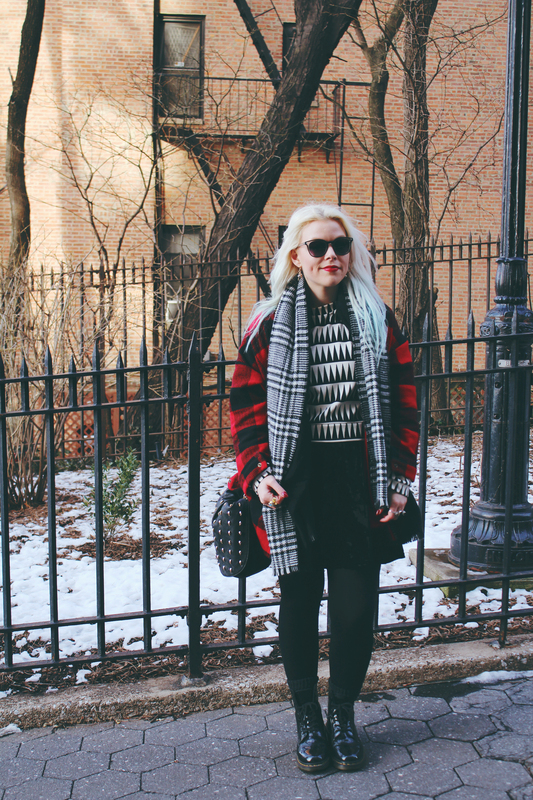 Today it’s a flashback to our day in Brooklyn, and the outfit I sported for this outing. Those of you who follow me on Instagram and Twitter, or have seen my last outfit of the day (here) will know that I’ve actually had my hair cut into a lob since these pictures were taken. This is my last long-haired outfit of the day, and for those of you who are interested in my hair chop there is a video on the way! 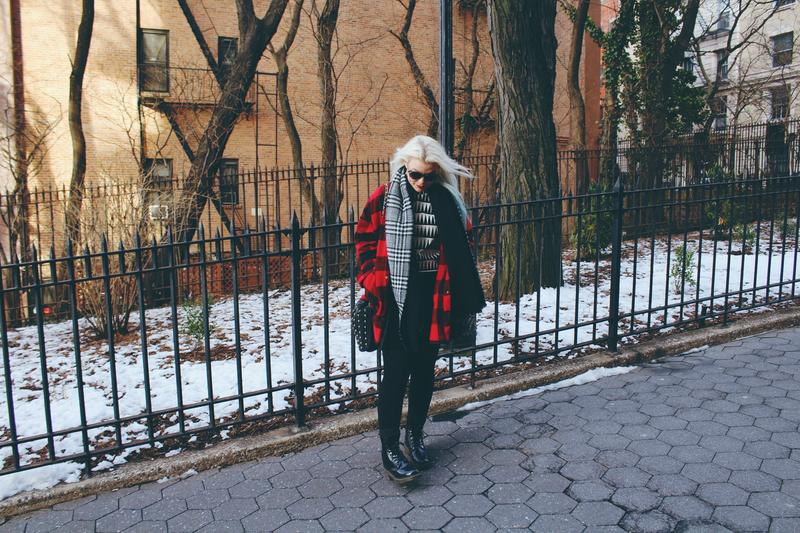 Back to the outfit, and this was my last day in New York (sob), but I do have a whole post of places I’d recommend going (here) if you’re interested. We headed to the Brooklyn Museum and then to Clark Street where this shot was taken, where you can see an amazing view from the promenade all the way to the Brooklyn Bridge, the financial district and even the Statue of Liberty! My outfit revolved around the amazing tartan jacket I’m wearing, which I managed to bag for just $50 (around £35) from Patricia Field’s store the day before. If you’ve seen my New York Haul video (here), you’ll not only have seen this jacket before, but you’ll know that we were lucky enough to meet Patricia Field herself, which was amazing! Layering was necessary as this was the day before THAT blizzard hit, and you can already see snow in the background! I wore my failsafe New Look velvet skirt and Appletree Boutique geometric jumper which I bagged on Depop, and which I thought contrasted nicely with the tartan. To add to the pattern mixing, I layered on this Primark blanket scarf and finished off the look with my Max C skull bag and Dr Martens Clemency boots.